“It’s a win win situation. I’m being trained in engineering skills and being paid and working for company”. “I’m getting paid to learn. It’s not just a job it’s the start of my engineering career. After I applied SETA helped me get my apprenticeship…I like the mechanical hands on work in machining and fitting”. “Our Open Evening was an exciting event and good to show people our prestigious training facilities. I enjoyed telling people about the benefits of engineering and sharing my experiences with teenagers”… “There are so many perks to engineering; it would be great so see more youngsters getting involved in apprenticeships”.  “AMEC have been involved with SETA for many years and their service, from sourcing suitable candidates, conducting assessment test and their rigorous but important first year of workshop practice, through to assessing NVQ portfolios at our sites, is all part of the package that SETA delivers to clients such as us. Particular mention must go to the very experienced supervisors within the workshop areas, who give a mature and professional approach to the emerging engineers”. “I was so impressed with the whole concept of what you offer for young people and the support you not only give in a learning capacity but on a personal level to encourage them to become thoughtful, caring and understanding members of society. We were delighted to be chosen as your charity of the year for 2012/13 and we are extremely grateful for the fantastic donation of £2800.00, which I received during the Awards Evening. As a global business providing Design and Engineering services and solutions to our core clients people are our greatest asset. Working together with SETA has allowed the initial Apprentice program in Jacobs Manchester to seek good talent locally, provide competent selection and interview support with candidates. SETA now understand the very high standards both technically and academically that our company and clients have come to expect to develop the earlier career individuals to help promote them and our company forward in the demographic challenges. We have put all our apprentices through SETA, I don’t feel that it has been an accident or good luck that they have all turned out to be well rounded professional craftsmen. I feel SETA’s development of Allied Bakeries apprentices has been second to none and I have only the highest appreciation of the professional and thorough manner in which SETA have helped Allied Bakeries develop its staff.